Relativistic jet (n): A plasma jet emerging from the centre of some huge object at the centre of a galaxy. 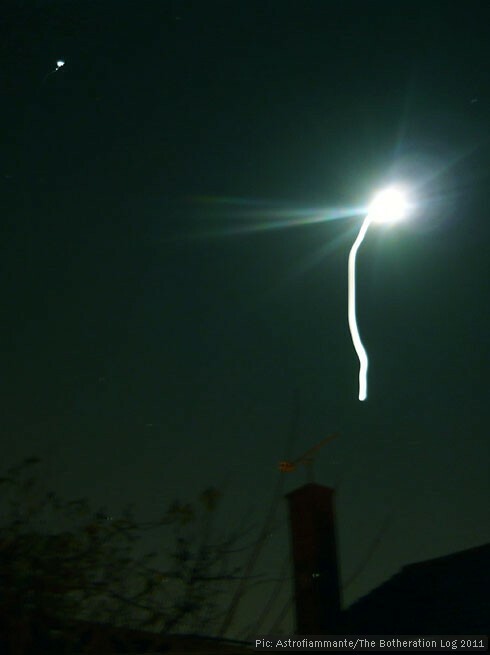 Of course, this is nothing of the kind – merely an anomaly on a slightly unsteady long-exposure night-time photograph. But the definition is stil fun.